December 11, 1949 – Third Sunday of Advent. 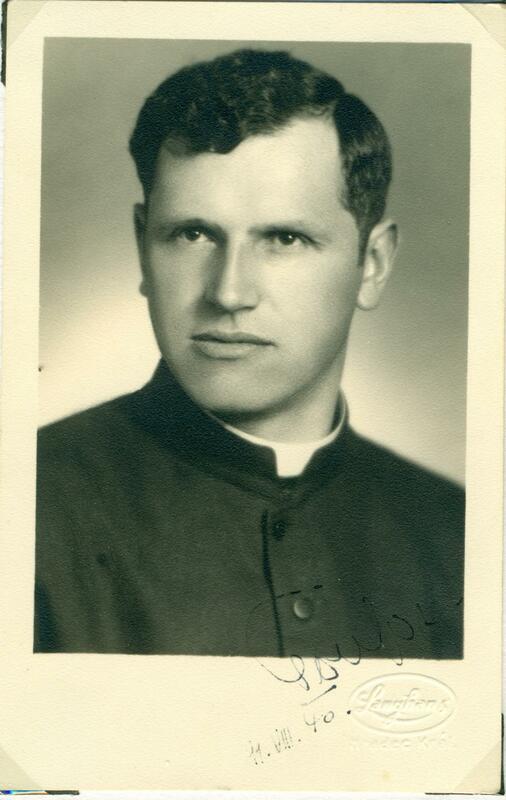 The pastor of the church in Cíhošt (a small town in the former Czechoslovakia), Fr. Josef Toufar, is practically finished with his Sunday homily. The church is full of faithful who are attentive to his every word. About 20 people from among the faithful follow the pastor’s hand to where he is pointing and are amazed to see how the cross above the tabernacle starts moving from left to right, repeating this movement several times, and then remaining slightly bent towards the pulpit from which Fr. Josef was preaching. He notices nothing, as he has his back turned to the tabernacle and continues the celebration of the Mass. He will find out the next day, by that time the entire town has found out. The same event is repeated during the Mass on December 25. Fr. Josef finds it hard to believe that something so miraculous could take place in his small town. The news spreads and Church authorities come to investigate. However, the national police, especially its secret branch of the STB, also starts to take interest. A year earlier, in 1948 the Communists had led a coup and seized absolute power in Czechoslovakia. Fr. Josef Toufar was a simple parish priest. In order to care for his parents, he continued working on the family farm until they both died and later followed the path towards the greatly desired grace of the priesthood. He was ordained in 1940 at the age of 38. From that moment on, he generously dedicated his entire life to his parishes, especially to working with the youth, which is what led him to become both a spiritual and moral authority. He was sent to Cíhošt in April of 1948. On January 28, 1950, two men presented themselves at the door of the parish of Cíhošt and asked to visit the church. They leave the house along with the pastor and all three disappear behind the cemetery wall. That was the last time Fr. Josef Toufar was seen alive. It turns out that the two were STB agents that led him to prison in Valdice. In just one month, the “interrogators” reduced the healthy and strong country priest to a bloody human ruin without vital forces. They beat him all over and torture him using electric current. They force him to walk for hours, submit him to extreme fasting, do not let him sleep – all in an effort to get him to sign a statement saying that the miracle has all been an invention of his. He repeatedly refuses to sign. The abbot of the nearby monastery and friend of Fr. Josef, who was taken to jail two days later as an alleged Vatican spy who had organized the plot of the miracle, declared that Fr. Josef could be heard singing religious songs in his cell. On February 23, with his legs completely broken down, the pastor of Cíhošt is unable to move or even sit down and he can barely speak. He often bleeds from the mouth. 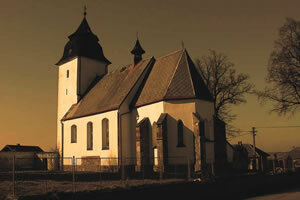 In spite of it all, he is taken in secret to Cíhošt to shoot a short film in the parish. It is a propaganda film meant to recreate, with his image, the alleged trick of ropes and pulleys, with which the priest and with him the entire Church had deceived the superstitious peasants. As Fr. Josef was not physically able to act as they told him, several times they made use of a double. Fr. Josef Toufar died shortly after the operation, that same day of February 25 at 8:35 pm. The cause of death is declared as peritonitis caused by perforation of the stomach. The authorities secretly buried him in a common grave in the cemetery of Dáblice. What they told the world was that the counterfeit priest had finally been captured. The Interior Affairs Minister Václav Nosek, in a press conference, announced that the priest had confessed that he had falsified the miracle and that, “he knows he will be judged and punished” and that other accomplices of the plot had been arrested, “including paid servants of highly qualified members of the Catholic clergy.” The minister presented a model of ropes and pulleys and the propaganda film ... It was not until four years later that Toufar’s relatives were informed that the priest had died. The case of the cross in Cíhošt was the beginning of the repression of the Catholic Church in Czechoslovakia.All German clergy and foreigners in general were expelled and Byzantine Rite Catholicism was directly prohibited and its properties handed over to docile Russian Orthodox clergy. More than 6,000 clergy were imprisoned in the 50s (an average of 5 years or more). By 1968, Czechoslovakia was left with half the number of priests than it had twenty years earlier, and half of them were very old and most were collaborators of the regime. Many people who had something to do with the miracle were imprisoned, among them was Josef Peske, photographer, who had taken a photo of the cross in the parish upon the request of Fr. Toufar, condemned by the authorities to 13 years in prison for “promoting a miracle “. Peske had refused to admit that he saw pulleys or ropes in the church facilities. In 1968, during the “Prague Spring”, an investigation was launched on the Cíhošt case. But the Soviet tanks soon arrived, placing an end to the “Prague Spring” and the investigation. It would not be resumed until 1988, when the state fully rehabilitated Fr. Josef Toufar. The Church has not made any official statement on the miracle, the movement of the cross. But she has on Toufar, who is Venerable, with his cause for beatification opened on April 25th of this year. He is considered a martyr for his faith: if he would have given in and collaborated in lying against the Church, they would not have tortured him nor would he have died. Czech Catholics also admire Toufar as a person who did not hesitate to sacrifice his life in defense of his ideals and in the struggle against Communism. There is still much left to do in restoring the faith in the Czech Republic, but it is clear that the blood of the martyrs is the seed of Christians. Thus, the many martyrs, among them Fr. Toufar, are a bright light of hope that can begin changing the godless condition of this country. By Sr. Zdenka Mª Turkova, S.H.M.